The elegant drape, satiny surface and semi-transparency of this fabric accentuate the inherently ephemeral, romantic and feminine qualities of the ‘Dark Floral’ print, for an effect that’s darkly beautiful and enchanting. Your panel(s) will be 0 m long. Dry clean only. Medium iron. Our luxurious, lightweight (42 gr/m2), 100% silk charmeuse fabric has a smooth, satin finish on one side and a matte finish on the other. It’s an excellent fabric to use for various clothing items, curtains or scarves, and can be dry cleaned and ironed at a medium temperature. Our silk charmeuse fabric is semi-transparent, but less transparent than our silk voile. The satin surface of the charmeuse reflects light while the matte surface of the voile absorbs it. ‘Dark Floral’ has been featured in magazines like Vogue, Elle, MarieClaire, Residence, LivingEtc, Town&Country, Domino, Better Homes and Gardens and blogs like Architectural Digest, Cupcakes & Cashmere, decor8, The Design Files, and Real Genevieve. ‘Dark Floral’ has an essentially black-and-white base palette, which is complimented by warm, earthy greens in the foliage behind the flowers, pops of red at the center of a single flower, and pastels (light blue, yellow, pink, coral and off-white appear on other flowers). 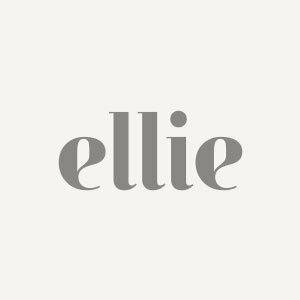 For further insight into the (thought) process behind the original design ‘Dark Floral’, please see Ellie’s full description here. Our silk charmeuse comes on a roll and has a usable width of 135 cm (53”). For more information, please see the Product Specifications at right.